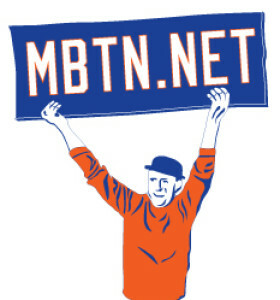 I’ve mentioned this over the years, and perhaps this makes me come off as the grumpy old fart I’m becoming but my Met fandom was irreparably damaged by 2008, when the Mets coughed up another playoff gimmee, they joyously destroyed Shea Stadium, the Bernie Madoff scandal that would ensnare the Wilpons and cripple the Mets for year was revealed, and Omar Minaya in a show of foolish bloodthirstiness followed the idiotic signing of Francisco Rodriguez with an even stupider trade that amazin’ly, still resonates. Today the Mets announced they’ve signed Ezequiel Carerra, one of the five guys they threw away for a few ineffective months of JJ Putz, to help fill the void created by Juan Lagares’ season-ending foot injury suffered the other night. Carerra, may be no great shakes, but joins Joe Smith, and the boomeranging Jason Vargas as guys still worth something ten years after that stupid trade. Drives me nuts. I’ve caught up with the comings and goings. Luis Guillorme is wearing 15, and Buddy Baumann got No. 77 and stunk it up, DJ Carrasco style. Paternity leave (Bruce, Blevins) and injuries (Robles, Cespedes, Lagares) resulted in shuttling to and fro of PJ Conlon, Corey Oswalt, Dominic Smith, Phillip Evans and Jacob Rhame; only the latter two remain here in New York, where its raining again and we may not play. At least we seem to have gotten Syndergaard and deGrom wins this week. My nadir with this team came on June 12, 2009 when Arod’s pop up dropped out of Luis Castillo’s glove. I felt personally betrayed by a team that I had given 40+ years of dedication to by fielding a team based on the value of their contracts. And against the Yankees no less. That night I swore off this organization. If they didn’t care about me, why should I care about them? From then on, my weeknights and Sunday afternoons would no longer revolve around the TV or radio to find out how “we’re” doing. Well that lasted 2 games. I made it 2 days without even checking a score. But I felt something missing. I realized that the Mets had become part of my DNA. They weren’t just this outside “thing” that I could walk away from. I needed to watch. I needed to live and die with every game. I no longer look at them quite the same as I used to but they’re still my Mets and I’ll be with them til the end. Baumann will wear #77, Tim Peterson will wear #63 and Scott Copeland will wear #62 and all three will be available for tonight’s game at Atlanta. This gives the team two #62s on the 40 man roster, with Tyler Bashlor also “wearing” that #.